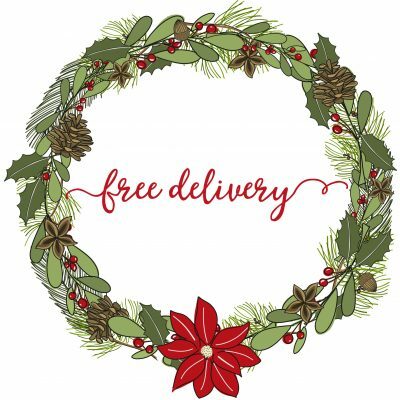 Free delivery until 18th December! To help keep your Christmas displays topped up we are offering free delivery on all trade orders until December 18th. Place your order via e-mail, phone, trade store or via your sales rep before 18th December to make the most of this exclusive offer.